In order to sign up for this trip, please go to our Day Hikes calendar and select the date of the first day of the trip (April 12th). You will find the trip listed there. 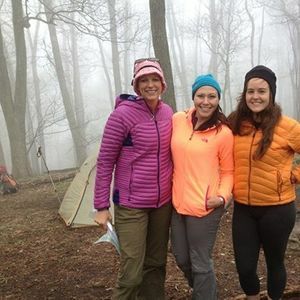 Once you have signed up for the trip, we will be in contact up until a month before by emailing you with a form to fill out which includes a waiver, health form, and information about gear needs and dietary restrictions. We will need to get this form back from you at least 1 week before the trip. You may also sign up by giving us a call at 828-713-5451. Also, feel free to give us a call or email us if you have questions regarding the trip. We can be reached by email at dHJpcHMgfCBibHVlcmlkZ2VoaWtpbmdjbyAhIGNvbQ==. 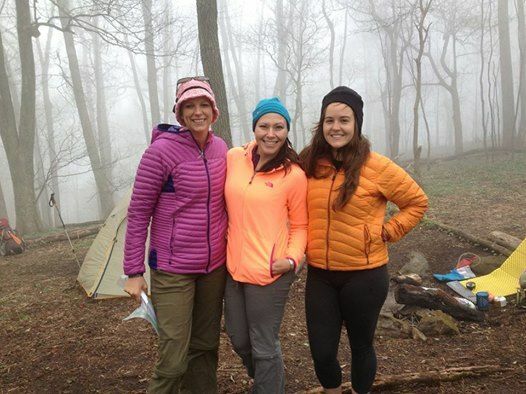 You will meet your guide at 9am at our new location in Hot Springs, the "Appalachian Trail-er". The address is 200 Lance Ave, Hot Springs, NC. Feel free to book accommodation here the night before your trip by giving us a call, or somewhere else nearby. 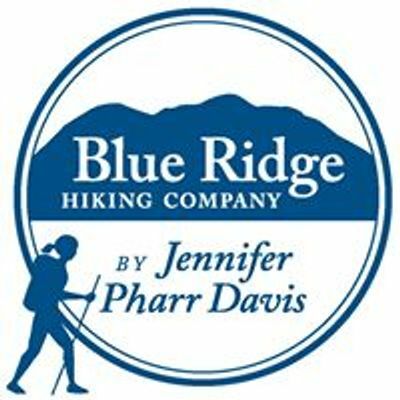 You will park your vehicle in Hot Springs and then take a shuttle around 11am to Max Patch where you will start your hike. After 3 days of hiking, you will make it all the way into Hot Springs where you parked your car! Generally finishes around lunchtime on Sunday. Payment in full is required to hold your spot with 15% of the total cost non-refundable. Refunds (minus the 15 percent) can be issued up until 2 weeks prior to departure time. Food: BRHC provides all on-trail food for the trip. When your guides arrive, they will pass out your food for the weekend. You will be expected to carry your own individually packaged food (such as oatmeal packets) as well as some shared community items (such as a jar of peanut butter or a block of cheese). While we do cater to dietary requests within reason, please keep in mind fresh food options are limited due to trying to keep food lightweight; we are only out for a short time. Community Gear: BRHC provides all community gear for the trip, including water filters and back-up chemical treatment, camping stoves and fuel, bowls/spoons/cups, trowels/toilet paper/hand-sanitizer, first aid kit, and map/compass. 1. Backpacks - We ask for your torso measurements in order to fit the pack appropriately to you; male and female specific packs available. 2. Tents - We have single-person tents and two-person tents. Let us know if you'd like to share with a friend or are willing to share with another hiker. We will do our best to accommodate these requests. 3. Sleeping bags - We strongly encourage you to provide your own sleeping bag if possible, but we do have sleeping bags for rent if necessary. If your guide does an exceptional job, you may show your appreciation with a tip.